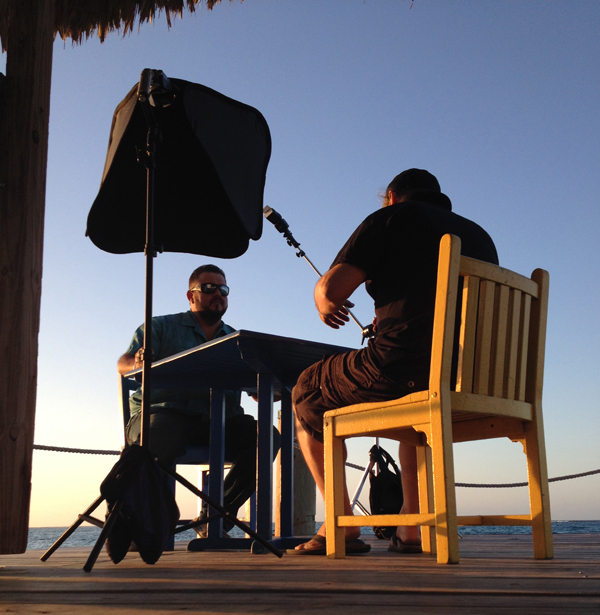 Duke Wells photographed award-winning professional DJ and established party-maker, Jose Ageeb for The Bahamian Project. Jose specializes in destination weddings and corporate events, and one of his favourite locations is the colourful Compass Point Beach Club. At the end of the wooden dock, to be specific. He receives rave reviews from locals and tourists for his ability to keep the party going. He is well known as an affable, fun-loving person with a big heart. Arnold Jose Ageeb was born, and raised, in The Bahamas to a Bahamian father and a Mexican mother. Proud of his Mexican heritage, Jose created the Mexican Fiesta Festival – a family-centric annual event aimed at bringing the taste and culture of Mexico to The Bahamas. Half the proceeds from the festival go to benefit The Bahamas National Trust and Jose is always interested in new opportunities to give back to the Bahamian community.